Time to start getting ourselves all spruced up and looking our best with our amazing range of pet supplies! Farm and Pet have some great grooming products to smarten us up, like this gorgeous Spearmint and Lemongrass Deodorising Shampoo. It’s powerful, but gentle, neutralising odours rather than covering them up! This shampoo also helps to build body and elasticity, to leave our coats feeling fuller and more luscious! At Farm and Pet Pethead DirtyTalk Deodorising Shampoo is only £9.99! 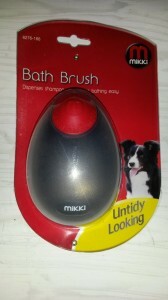 AND … have you heard about this fabulous new bath brush from Mikki? The pronged fingers on this handy brush gently massage the shampoo into our coats. (There’s a secret reservoir for the shampoo inside the brush itself!!) So it’s much easier for our owners … genius! A bargain at just £4.78. 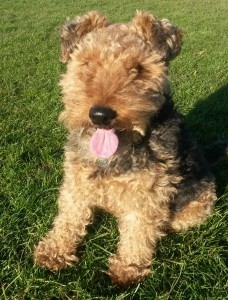 And then of course a lovely fluffy towel and a big cuddle to follow. 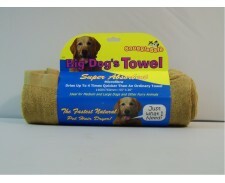 Snugglesafe have this unique towel, made of super fast drying microfibre, which gets us dry 4 times quicker than an ordinary towel! And it reduces split ends a nd fuzziness! No more ‘bad hair days’ for us! And all for only £11.57! 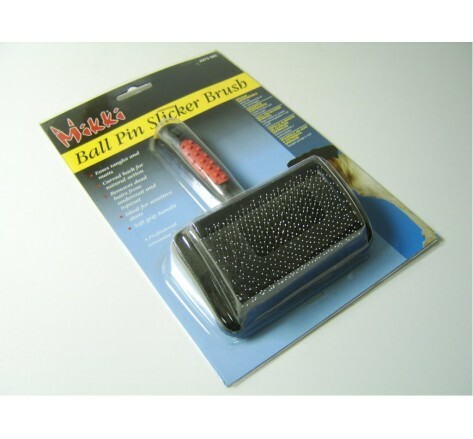 I also love this ball pin slicker brush from Mikki. (Only £6.98!) It has specially shaped plastic-tipped pins to help protect our skin, and these are mounted an air-cushion, so that our tangles and matts can be gently removed with just a soft stroking action. Aaah …… lovely!! Well, I hope you like the products I have featured here, but don’t forget, there are hundreds of grooming products and pet supplies for all your pets in the grooming section of the website. Products come in a variety of sizes/types and specifications. So just go to Farm and Pet to find precisely what you need. Just click on the pictures and they’ll take you straight to the website to make your purchases. How easy is that? Log in again soon, as you don’t want to miss my farm & pet friends who will be joining me online to tell you what they think about all the products we have on offer. Next time, meet Sparky my special ‘cat friend’.